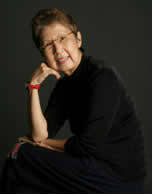 Born in Malaysia but educated in Singapore, Suchen Christine Lim was awarded the Southeast Asia Write Award 2012. In 1992, her novel, Fistful Of Colours, won the Inaugural Singapore Literature Prize. 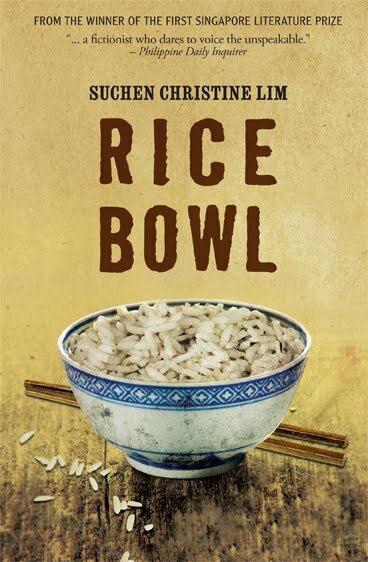 Critics have described her first novel, Rice Bowl, as “a landmark publication on post-independence Singapore”, and A Bit of Earth as “a literary masterwork as well as a historical document”. One of her short stories in The Lies That Build A Marriage was made into a film for national television. Awarded a Fulbright grant, she is a Fellow of the International Writers’ Program in the University of Iowa, and its International Writer-in-Residence. In 2005, she was writer-in-residence in Scotland, and has returned to the UK several times as an Arvon Tutor to conduct writing workshops and read at the Edinburgh Book Festival. Her new novel, The River’s Song, will be launched in London and New York next spring. Kitaab recently interviewed Suchen Christine Lim after her novel The River’s Song was released at this year’s Singapore Writers Festival. You recently released a new novel, The River’s Song, at the Singapore Writers Festival. What inspired you to write this novel and how important it is for you? Suchen: Music and the haunting image of a man crouched among his pots of wilting chilli plants, gazing with vacant eyes through the railings of his public housing board flat at the car park below drove me to the story of those evicted from the Singapore River. I spent several mornings at the National Archives listening to the audiotapes of Chinese coolies who had once worked on the bumboats. Although they spoke in the Teochew and Hokkien dialects, and I could not understand every word, I could hear their suppressed sorrow and regret beneath their rich baritone voices. The River’s Song took shape slowly and chaotically. For months, the slow, sad music of an ancient Chinese lute, the pipa, and the Chinese bamboo flute haunted me. I remembered the Singapore River that I knew as a teenager, the lush greenery, boatyard and filth crowding its banks, the boat builders, hawkers, coolies and squatters who were part of the rich cultural life that we had erased as Singapore transformed into a modern metropolis. How does one measure the importance of such loss? That’s one of the questions posed in the novel. Change and loss are universal, a part of life itself, a part of our inheritance. Your new novel is published by Aurora Metro Books, UK, and it is the first time that you are working with a foreign publisher? How was the experience? Was it any different from working with a Singapore-based publisher? Yes, Aurora Metro UK is my first foreign publisher, and you have cleverly asked me a sensitive question (smiles). Certainly, it’s a different experience, working with a foreign publisher. 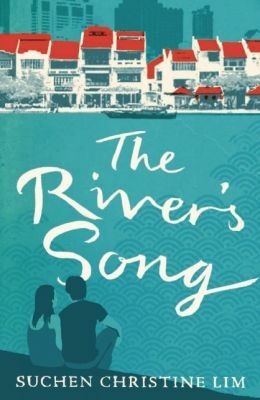 Since its launch at the Singapore Writers’ Festival, the UK publisher has worked with a local book distributor to make sure that The River’s Song is in all major Singapore bookstores and independent bookstores like Books Actually and Select Books. It has already made preparations for The River’s Song book launch in the UK and in the United States next spring, and the novel is also on sale online in Amazon.com. You started writing under trying circumstances. You didn’t have a place to write. Why was writing so important to you and how did you manage to steal time to write? Living in an utterly sane, controlled and pragmatic society, writing gives me the psychic space to breathe and be free to roam in my imagination. How did I steal time to write? When writing becomes an obsession, one finds the time to write no matter what. It’s like being in love secretly. One will always find the time to meet one’s lover. When I first stumbled into writing, I would leave home at 6 am every morning with my Olivetti manual typewriter. I would take the bus to where I could walk past a Chinese cemetery and be alone with my thoughts. Then I would take another bus to the National University of Singapore, and by 7.30 am I would be writing in the students’ canteen despite the noise. This was my routine every day for more than a year even though at the time I didn’t know that my writing would lead me to write and publish my first novel, Rice Bowl. You asked how I managed to steal time to write. My answer is: obsession, imagination and a touch of madness. You have to be a little crazy to walk through a cemetery every morning for a year. How do you do your research? Do you use notebooks, do you keep a diary? I make random use of a notebook and diary. When you are working on a book or a story, how do you know that you are on the right track? Or how do you know you are on the wrong track? In truth, I don’t really know. Writing is a daily exercise in futility and in facing up to failure. One simply has to try and try again, especially in the course of working several years on a draft for a novel. Intuitively, you, the writer, will know if you are on the right track if the writing ‘calls’ you back whenever you stop writing for a while. The story will grow on you over time, and you simply have to listen to that inner voice and write it. If you are on the wrong track, you will feel a great sense of relief when you throw away the pages. Junk them. Bin them. Throw them down the rubbish chute. And I have done this several times before I hit the right track. How important is editing and re-writing for you? How closely do you work with your editors? My novels are worked through several drafts and re-drafts before I even consider showing it to anyone, much less sending it to a publisher. Once a publisher accepts the novel, I work closely with its editorial staff. I appreciate an editorial relationship that is both collaborative & combative with a reader/editor who seeks clarification, asks questions and makes suggestions to sharpen focus and shape the narrative, all of which the writer is free to accept or reject. Editing that seeks mainly to ensure that the text is grammatical and free of typos is generally unhelpful to the writer of a literary narrative of a few hundred pages. You have been to many residencies and have taught courses as an Arvon tutor. Do you travel a great deal? Any interesting anecdotes from your travels? During my writing residency in the winter of 2004 up in the Scottish Highlands, I was snowed in during a blizzard. I was alone in the writer’s cottage, and the electricity was cut off and the phone lines were down. Outside, a blinding snowstorm was raging, and the winds were trying to blow off the roof. It was a most memorable and exhilarating experience, especially the next morning when a handsome forester dug a path through the thick snow walls to get me out. What work if any had an influence on you during your growing up years? Learning to be an events organizer in my youth, and failing at it (smiles). I learnt that I couldn’t organise real people. What’s the most important book you’ve read this year? Beware Of Pity, a novel by Stefan Zweig, the Jewish author who was forced to flee from Germany because of the rise of Nazism. Translated from the German by Anthea Bell in 2011, the novel was composed over several years before the outbreak of World War II. First published in 1939, it’s a story of a young cavalry officer in the Austro-Hungarian Empire who committed a social faux pas. His resultant guilt and pity for the crippled daughter of a rich widower then drove him into pretending to fall in love with the girl with disastrous consequences. His pity and kindness mixed with self regard led to self torment and catastrophe, hence the apt title, Beware Of Pity. This is the season of waiting. The field lies fallow, and the rains have just begun. I know there are seeds of stories inside my head waiting to sprout. But I must learn to wait until they sprout. Waiting is also part of the process of creating. Stories come to those who have learnt to wait upon the Muse. Posted in Authors, Book, Features and tagged Aurora Metro Books, Beware Of Pity, Fistful Of Colours, Rice Bowl, Singapore fiction, Singapore Writers Festival, Stefan Zweig, Suchen Christine Lim, The River's Song, UK. Bookmark the permalink. Suchen Christine Lim’s voice is both strong and gentle. She captures the vanished world and writes in an elegant prose rich with history and dialogue. There is a perfect balance as she captures the sensual rhythm of music set against the tensions of the politics of life. The strength of The River’s Song is that the writer does more than write. She is able to touch our lives with a sense of history.